Welcome to the website for Hightstown Medical Associates, a primary care internal medicine practice. The physicians of Hightstown Medical Associates are all board certified internists, specialists in the care of adult patients. We care for patients from age 18 through adulthood. When medical conditions outside of our specialty arise (such as pregnancy or the need for surgery), we coordinate care with these specialists to assure that our patients' needs are met. To learn more about internists, click here. To learn more about us, browse through the links on the left or visit our office (directions are on the Travel Directions Page). Welcome! We have learned that both CIGNA and AETNA insurers have sent letters to some of our patients informing them that we are no longer in-network. This is NOT correct. Both insurers have agreed that they screwed up & should be sending letters to those patients who received the original letters. If you received one of these letters, you can safely ignore it. We are & have been in-network & plan to remain so. Please call us if you have any questions. We have received our first shipment of the 2016-17 High Dose Influenza Vaccine. This is for the 65+ age group. We expect to receive the regular vaccine very soon. We will update this space as the vaccine arrives. In addition, if you complete the Flu Vaccine Sign-up Form (see the menu to the left) we will send you an email when we receive the vaccine. As of July 1, 2016 we have strengthened our affiliation with the University Medical Center of Princeton by joining Princeton Medicine. Our landlord declined to renew our lease, so, after 45 years on One Mile Road Extension, we had to leave. We searched the area for space that would meet our needs & found it in Windsor Business Park, in West Windsor. Since November 21, 2014, we have been in our new space, which is just 4 miles from our old office. This is across from Community Park on Route 571 and is halfway between WW-P High School South & McCaffrey's Supermarket. 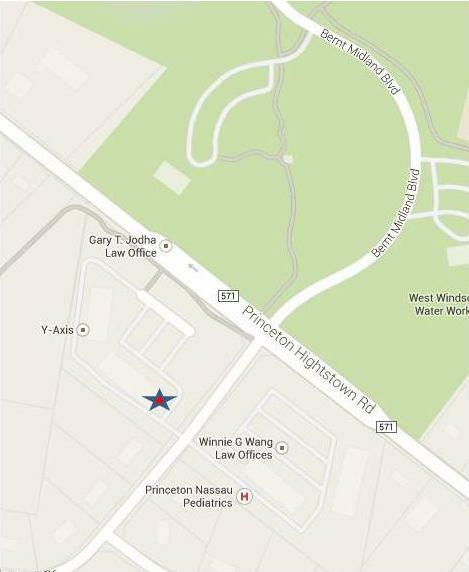 We are across Slayback Drive from Princeton-Nassau Pediatrics. Our phone number is the same, but we have a new fax number (see top left). Click here for more maps & directions, plus see our new floor plan! Aprima Electronic Medical Records As of June 2010, we are fully up to speed on our new EMR. This has greatly enhanced our ability to provide first class care. Sign up for the Aprima Patient Portal, which allows you more functionality than possible with our old HMA portal. And, try out the new Aprima Patient Portal will provide a cleaner, more intuitive interface. If you would like to learn more, you can visit the Aprima website. Please help us improve our service by completing the Patient Satisfaction Survey. Answer as many questions as are relevant, but please, only one survey per contact with our office. All information is stored with no patient identifying data and all results are reported in aggregate only. After 45 years in practice in the local community, we said farewell to Dr. Julius Richter as he sailed off into retirement at the end of June 2013. He was the rock of our practice and one of its founders. We will miss his clinical abilities and his personality around the office. We all wish him a long and enjoyable retirement. But Dr. Richter's departure allows us to introduce our new physician, Kristyn Phelps, MD. A native of Virginia, Dr. Phelps attended Rutgers University as the James Dickson Carr Scholar and part of the Honors Program. She obtained her MD from Temple University Medical School, during which she did a year of GI research and where she was a Johnson & Johnson/Yale University Physician Scholar. This was followed by an internship and residency in Internal Medicine at Temple University & then Morristown Memorial Hospitals. She took first place at the Internal Medicine Resident Research Day in 2008. 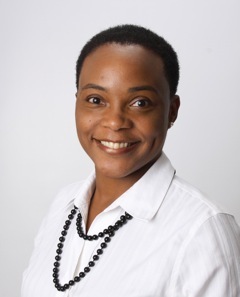 She worked as a Hospitalist for a year at St. Barnabas Medical Center in Livingston, and since has worked in Trenton & Lakewood to repay her National Health Services Corp scholarship. She is board certified in Internal Medicine. Please browse the topics to the left to learn more about us. If you have questions which remain unanswered, please call or fax us, or use the contact form to reach us. This website, like most, is an ongoing project. We constantly add to and update the information here. If there is something which you would like to see here, please let us know. We are also considering beginning to use e-mail to stay in touch with our patients. If you would like to be added to our email list, please click here and complete the form. Throughout this site, there are links to documents in Adobe Portable Document Format (PDF). They are marked by the following symbol: . You need Adobe Acrobat Reader (a browser add-in) to access them. If you do not have Adobe Acrobat Reader, you can get it, free, by clicking this logo. If you have an old version, you should upgrade! The menu popups on this site are produced by OverLIB. This excellent freeware product can be obtained by clicking on the graphic to the left. This site is hosted by 1&1. We have been very happy with their products and service. If you are interested in creating your own website, or hosting for others, click the logo for details. This site is intended for the patients of Hightstown Medical Associates. It provides medical information of a general nature and is not intended and should not be used to diagnose any illness or treat any condition. If you are not a patient or prospective patient of Hightstown Medical Associates, then please leave this site immediately. If you have any symptoms which you believe might be indicative of a medical condition, please contact your physician immediately.